What a great story! This is not a super exciting book nor is it a love story. It is simply a terrific well written narrative of a young girl who was dealt a lousy hand in the parent department who with the help a a large cast of fantastic (mostly Southern )women is able to overcome her lonliness and shame and go on to become a lovely young women. I bought it to listen on my ipod while I walked but I found myself finishing it in 3 days Because it was too good to put down. 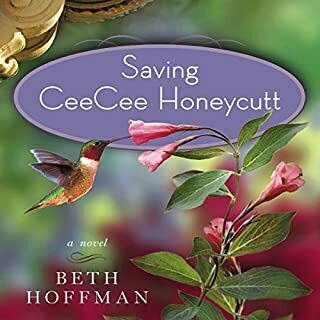 Not to take away from the outstanding writing of Beth Hoffman but the incredible variety of voices by Jenna Lamia really made this book come alive. I highly reccomend it!